Remembrance plays a crucial role in the memory and culture of a community. To be reminded of something means we can learn for the future, grow in wisdom and avoid mistakes that have been made in the past. At the start of another year, Muharram is a time when we remember through stories and poetry the trials and sacrifices of people who gave their time so that we could have ours today, so that we could live with freedom of religion and in peace. The family of our beloved Prophet Muhammad (pbuh) and so many others have taught us the sanctity of our faith and how precious a gift it is to be able to live it freely and openly in the way that we do today. November is also a time when we remember those who gave their lives for our freedom and have been killed in more recent conflicts, 31st October marked 100 years since the first Muslim soldier was awarded the Victoria Cross – Khudadad Khan from a part of India (that is now Pakistan), who was fighting for Britain in France in the First World War. There are many stories of strength and courage as well as conflict and oppression that we will hear of throughout this month. They provide us with the opportunity to remember also, to pray for those who have passed and for those who will come in the future. But in our cosmopolitan nation, these times are also a great opportunity for many different communities to come together and promote a sense of shared history and recall the sacrifices made by all of those who stood strong in the face of darkness and fought together for light to prevail. I would like to take this opportunity to introduce myself, my name is Harris, and I am one of the two ISB Project Managers. I will be focussing on delivering effective campaigns across the country with an objective of supporting interfaith work, and engaging with voluntary, statutory and faith sectors for the overall benefit of people living in Britain. I will also be supporting branches with focussed activities in individual localities, providing advice and consultancy as well as helping with fundraising and whatever else is needed. 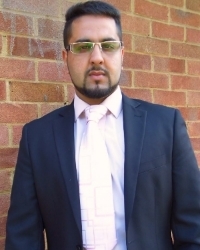 I am a professional who has supported sustainable change working with families and communities with multiple and complex needs across the public sector – I currently serve as Founding Chair to KWF, Governor to a Junior School and Director to Denver Court Management LTD. 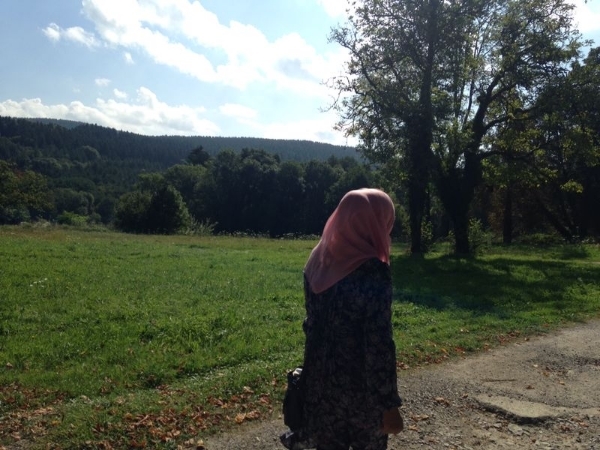 The remainder of what little time I have left is spent with my wife Maryam and children Abaan 5, and Khadeejah, 2 – so it’s days out and quality time where we can find it! I have had the pleasure of meeting some of you over the course of the three weeks in my new role and look forward to meeting you all in the near future Insha’Allah. Please do not hesitate to contact me on [email protected] if I could be of any assistance at all! As part of our ongoing mission to build and support branch work we held an away day for branch coordinators and their team members on Saturday 25th October at Markfield, Leicester. The day comprised of a range of interactive workshop sessions, presentations and guest speakers. The purpose behind this was to support capacity building and create sustainable structure whilst empowering local leadership. The morning started with a warm welcome by Sughra Ahmed President of the Islamic Society of Britain. Rabiha Hannan, Head of YM facilitated the first discussion around branding and sparked an interesting discussion with different perceptions, ideas and thoughts coming to light. She was followed by Dilwar Hussain who led an inspirational session on “what a branch should be doing”. 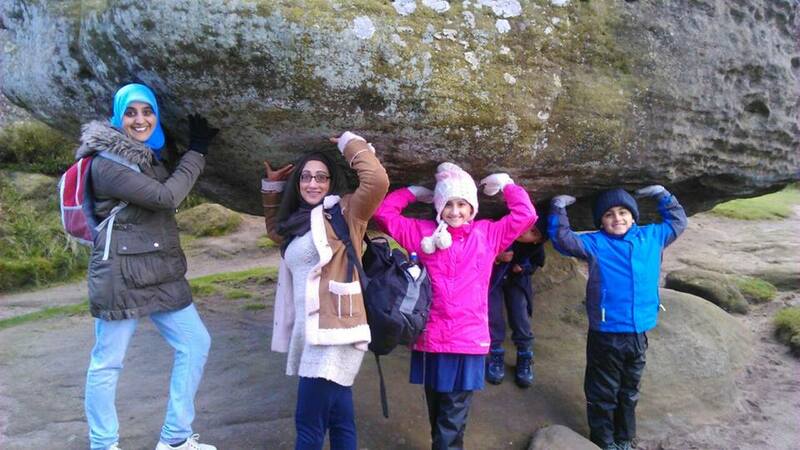 The day was well attended with representation from Gooljar and Jefferey from Sheffield, Arshad and Yousif from Halifax, Rasha, Amar and Shaista from Manchester and Shahnaz and her team from Bradford. The day ended with inspirational words from Dr Ataullah Siddiqi one of the founding members of the ISB and Dr Andrew Wingate. Branch Coordinator’s Training Day, Leicester. I have been to Living Islam festivals before but this time I was inspired to join the ISB. My whole family loves the event! There we get an opportunity to relax and learn, it feels like a much needed retreat! I have a young family and I think the ISB will provide them with great opportunities to learn about how to practice Islam in this country. 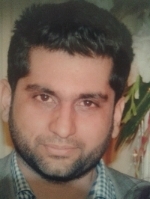 I have started attending the local Birmingham ISB branch events and I have gotten involved with children’s education. 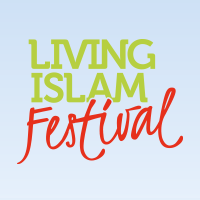 I look forward to Living Islam Festival 2016 and am looking forward to volunteering and contributing to its organisation. 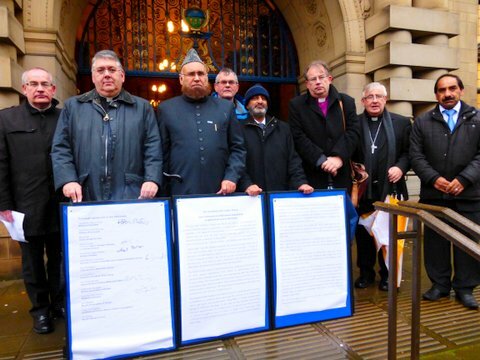 Faith leaders from across Sheffield met on the steps of Sheffield Town Hall to release a joint statement on Child Sexual Exploitation in Rotherham and its aftermath. They stood shoulder to shoulder in support of the victims and communities most affected by the scale of the abuse and the subsequent failure to address these issues. Manchester held its annual Eid party on 18th October with over 150 people in attendance. The event is fast becoming a must for all Mancunians with an array of activities for both young and old. This year we had bouncy castles, henna and face painting, a spiritual reminder by brother Imtiaz Hussein and a family quiz. Spiritual Talk, crèche, scouts activities, food. Bradford held its first Boys Scout meeting on 11th October 2014. The event was a resounding success with ice-breakers, team-building games and prayers. Future events include paintballing, football as well as camping so make sure you don’t miss out! We also had our ‘Out & About with ISB’ project, which was launched to promote health and well-being, a love for outdoor adventure as well as nurturing community ties. 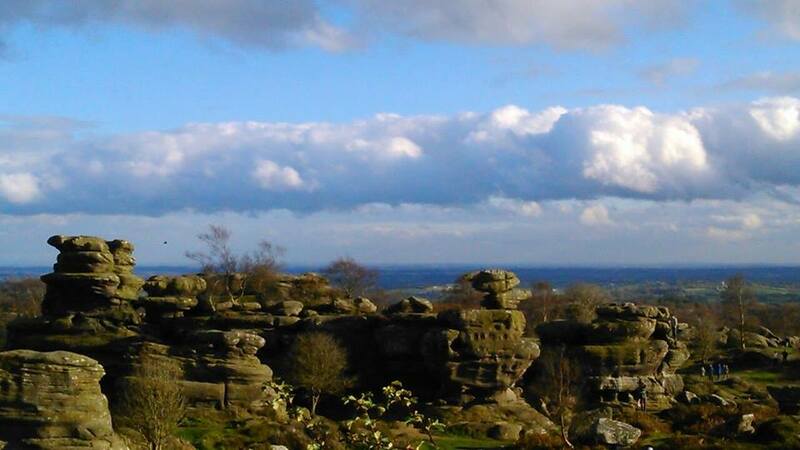 The project got off to a cracking start with a wet and wild day at Brimham Rocks. 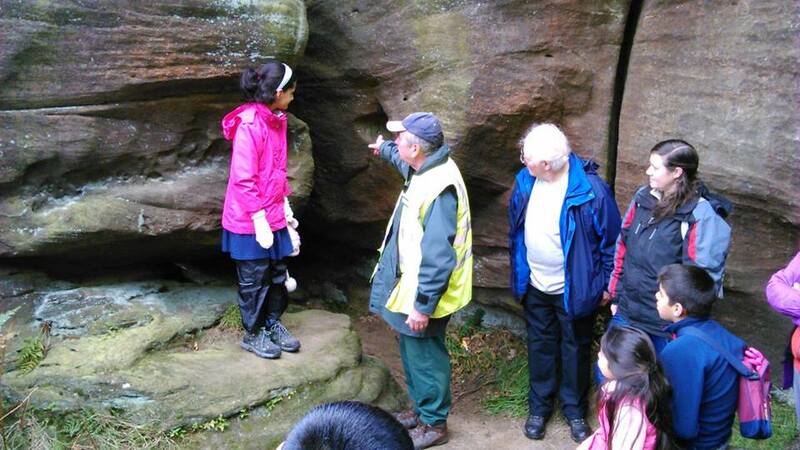 Young and old were treated to a historical tour around the rock formations whilst the more adventurous enjoyed the challenging climbs and leaps the rocks had to offer. It was a fantastic day out for all who attended. 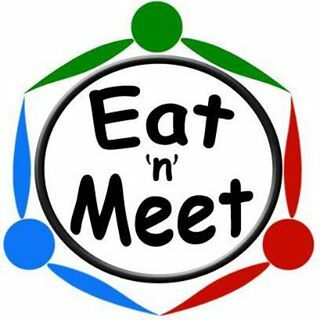 Contact us for more info about our next event. 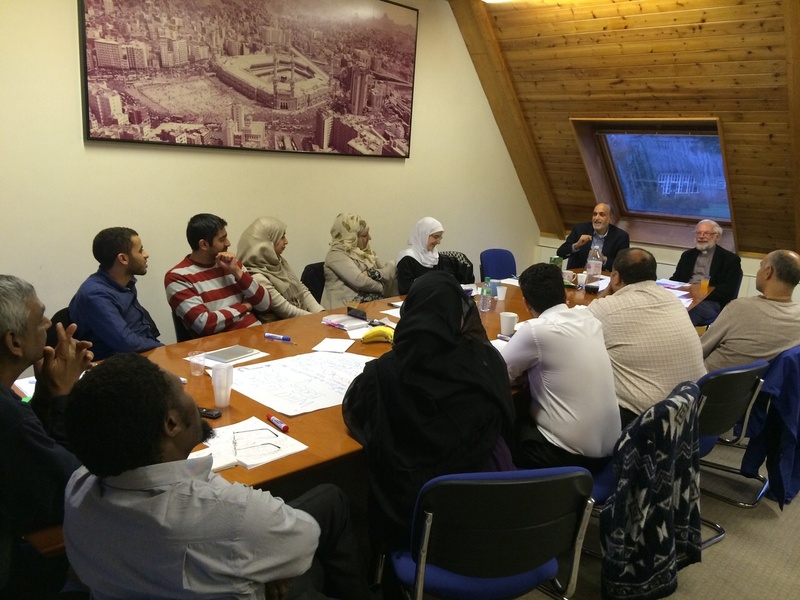 Birmingham branch held a hugely successful post-Living Islam event! It was a sell-out event with lots of families and it proved to be an excellent opportunity for networking and building relationships between existing and new members. We’ve also launched an exciting new YM circle. 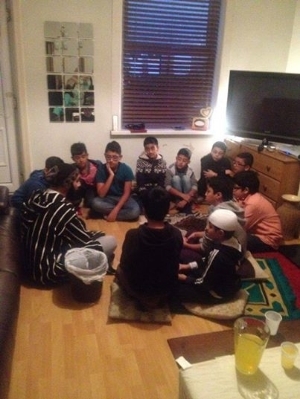 We held a Qiyam ul layl programme, which was attended by over 50 young people! The circle will be taking place every Friday (during term time) for both boys and girls so don’t miss out. Also, Unity FM continues to go from strength to strength. The station runs 24 hours a day and is listened to by thousands. The signal has been strengthened and now reaches well beyond Birmingham. Make sure you tune in! Alhamdullillah, my life has always been blessed with structure and security but it has felt like a conveyer belt at times, always moving along from one thing to another with no time to stop and reflect. Which was I decided to take some time out, and jump off the conveyer belt and pursue my goal of earning Arabic. 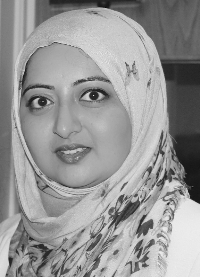 Zenab, we wish you the best of luck in your pursuit of knowledge.